A quick post with an unabashedly colourful outfit to brighten up a grey, soggy Monday: here’s to a day of setting goals, being productive, and most importantly, staying thankful. Hope you have a great start to your week! What a beautiful color blocking! You look gorgeous, Jen! Love the colour combination! I really need those Zara heels – they look so chic! I absolutely love the colorblocking! 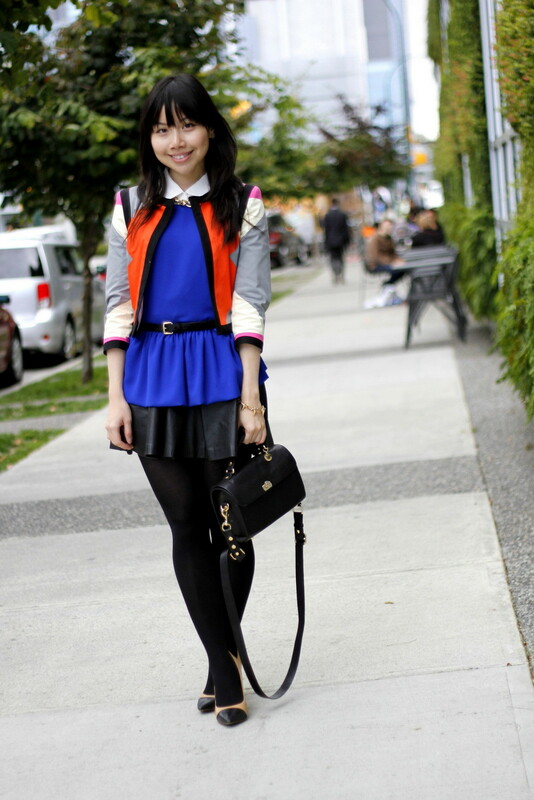 Love the orange patch on the jacket, it is making the whole outfit look so bright! 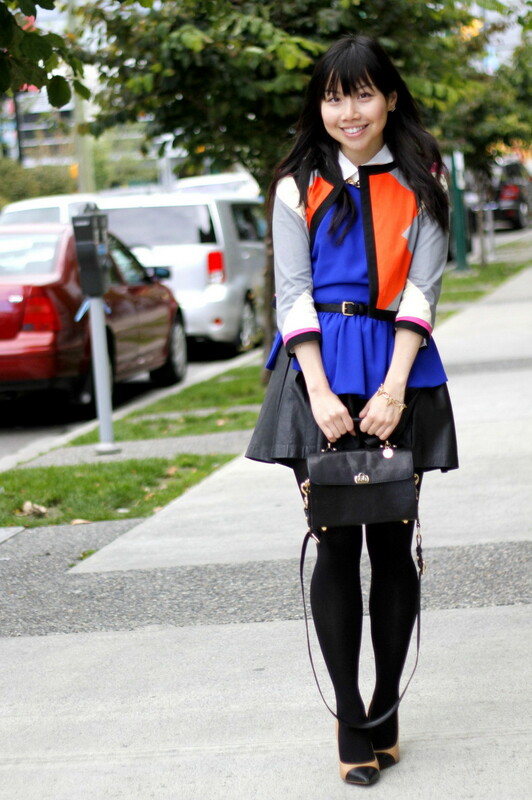 LOVE all the colours going on in this outfit! The perfect pick-me-up during the recent slew of rainy days. There should be a like button on these blogs because I feel like I keep repeating myself when I tell you I love your outfit. Hey Jen! This is the perfect look to greet the week with! 🙂 I love all the layering. And I’m still oh so in love with that gorgeous jacket of yours. Wishing you a wonderful week, love! Love this outfit! Colors are great, and that bag is darling! Such a colourful outfit, it has brightened up my day! I love the bright, bold color scheme. That jacket seems to work with so many outfits! Absolutely love this mix of gorgeous bright colours! yay! 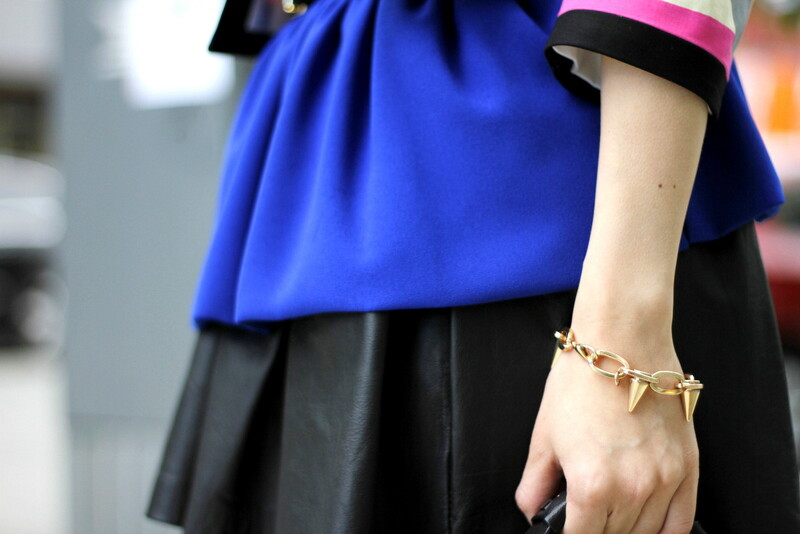 Love the layers & bright colours! Great top – the colour is fantastic!